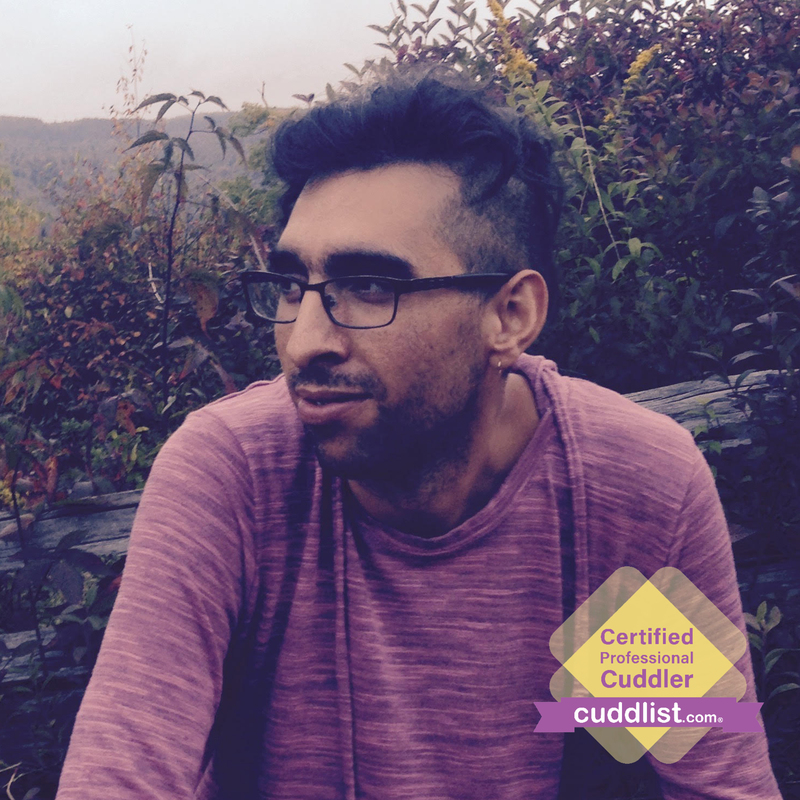 Want to cuddle with Lamar Renville? Session Rate: $60-80 sliding scale per hour. Travel fee outside of Asheville. I believe that touch has the ability to heal and connect us on a deeper level than we often reach in our “normal” daily lives. Touch is basic to our existence yet it can feel so far away. Our culture has often taught us that touch and affection are reserved only for those we are in a romantic or sexual relationship with. Yet we can be connected through touch in a much broader way. It is my goal here at Cuddlist to offer you the safe nurturing space of platonic touch as well as model a different way of communicating and sharing safe, direct intimacy. I am an empath which means that I am fluent in feeling what other people are feeling. My experience with Cuddlist as well as Massage Therapy and Energy work has taught me that their is a language underneath words that can be spoken in silence, through touch. It is this way of reaching out to the Heart’s of my clients that is my passion in life. Love arises in me for all beings who share safe nurturing space with me and it is my deepest wish to share this with you. I’m currently available by out call only. 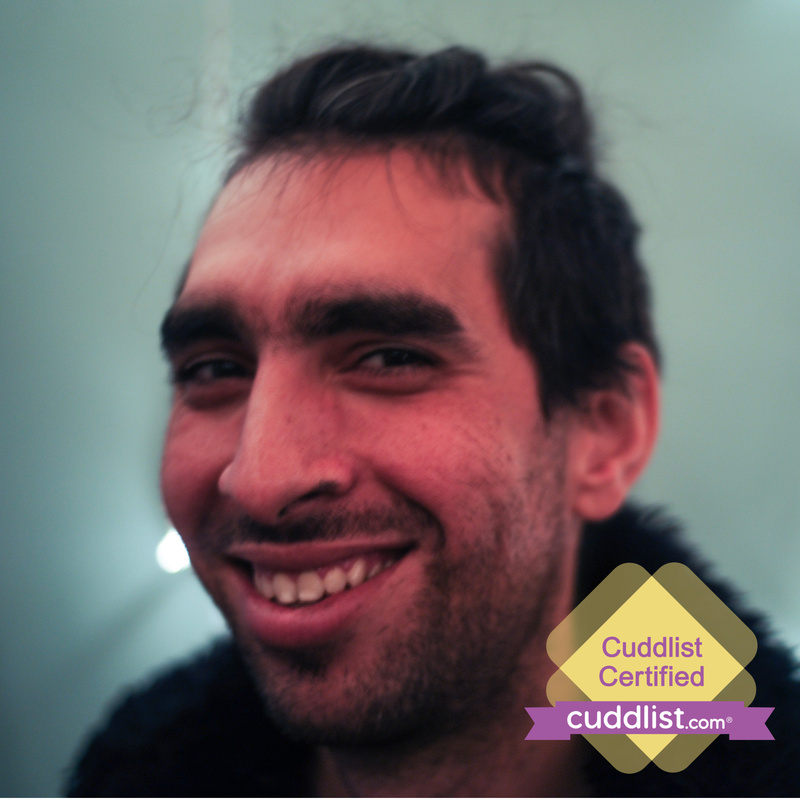 I go over a couple things in the check-in including: the Code of Conduct and agreements, what you hope to receive from our Cuddle experience, any questions about where or how the space to Cuddle will be and setting up a time and place to Cuddle. My goal is to give us an opportunity to get to know each other in advance so that we both feel great about meeting up and Cuddling.